Hot off the science press supplementing with >700 IU vitamin D reduces falls in those over 65 years of age. 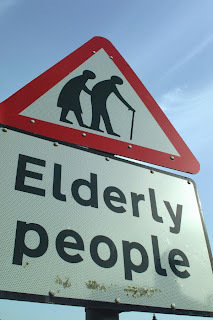 Falls have a major effect on the elderly. If/when they fall they are more likely to damage themselves with broken or damaged bones. Thus they have restricted movement while the bones heal. Not only is the healing time longer than youthful people, it also impacts there whole body. This is because their movement is less. This less movement results in less muscle control and strength. Lower control and strength results in higher probability of falling and breaking a bone. Thus the downward cycle continues. This is exactly how my Grandfather died. He had a fall (in Bolivia!) and broke his leg(?). He never really recovered from this and the next few years were a sliding down into death with more falls and complications. So you can see how preventing falls is very important. The supplement of 700-1000 IU was on-top of what the elderly either ate or got via the sun. Supplement with Vitamin D3. Vitamin D comes in a handful of shapes (Isomers). They found that vitamin D3 reduced falls by 26% but vitamin D2 reduced it by only 12%. There is debate around which form of vitamin D is the best, interestingly enough most complimentary medicine people prefer vitamin D3. Reference: Heath V., Nutrition: Preventing falls in the elderly—benefits of vitamin D supplementation revealed. Nature Reviews Endocrinology 6, 1 (January 2010) | doi:10.1038/nrendo.2009.227. Photo credit.